Having crafted the iconic Twin Peaks score together, David Lynch and Angelo Badalamenti are no strangers to collaboration. Still, not everything has seen the light of day — later this year, a long lost jazz album from the pair will finally be released. 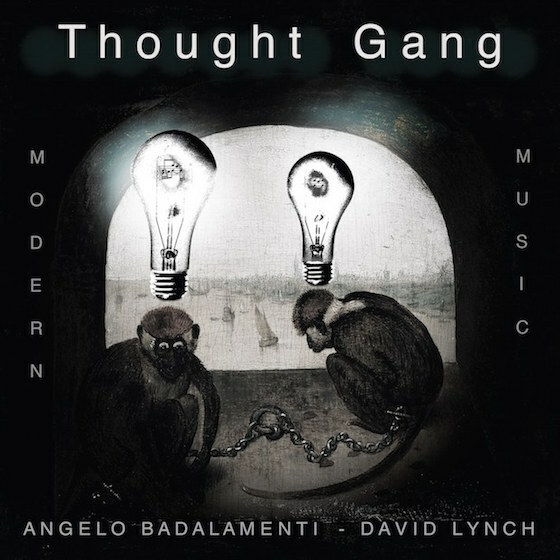 From 1992 to 1993, Lynch and Badalamenti teamed up to record a self-titled album under the name Thought Gang. The 12-song release was never released, but will finally see the light of day on November 2 through Sacred Bones. Lynch and Badalamenti have teased the release with a new music video for he song "Woodcutters from Fiery Ships." Of the piece, Lynch said, ""It is a short video featuring my friends the ants, along with cheese, etc. and one and a half tracks from the upcoming Thought Gang album." Watch the video for "Woodcutters from Fiery Ships" below.